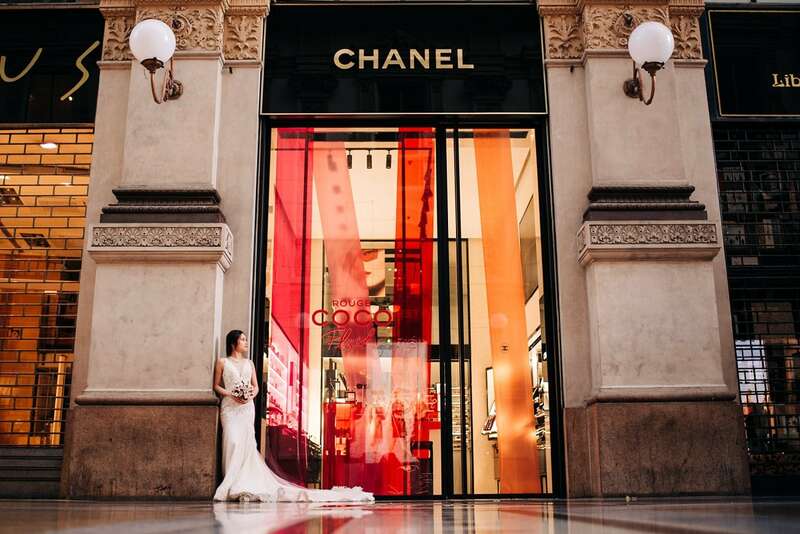 Milan as the sun is rising shows all its beauty – and is the perfect scenario for a wedding photo session! 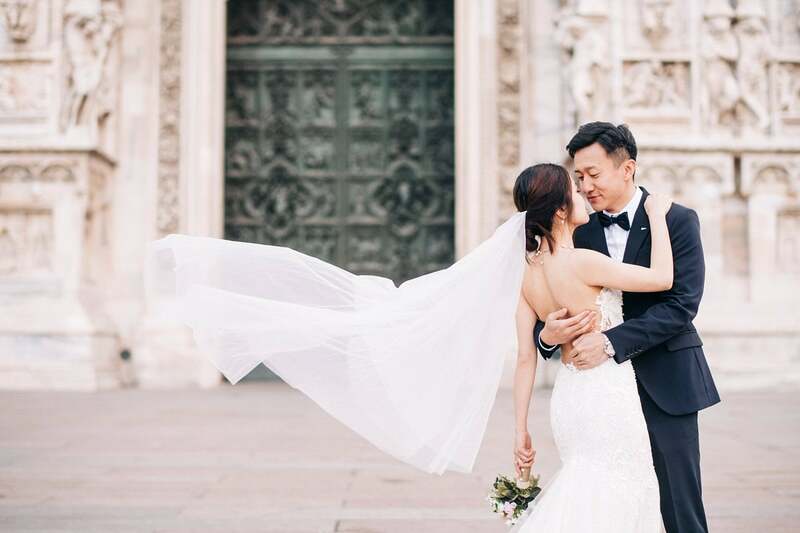 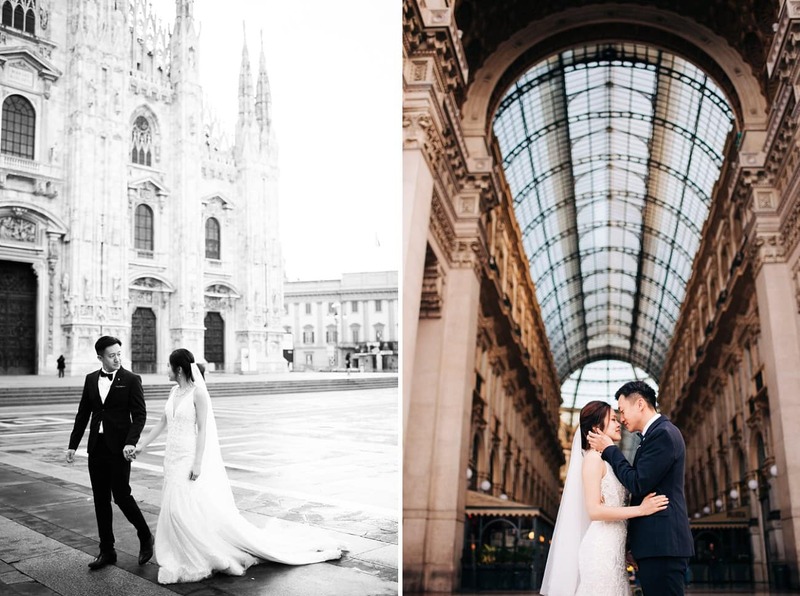 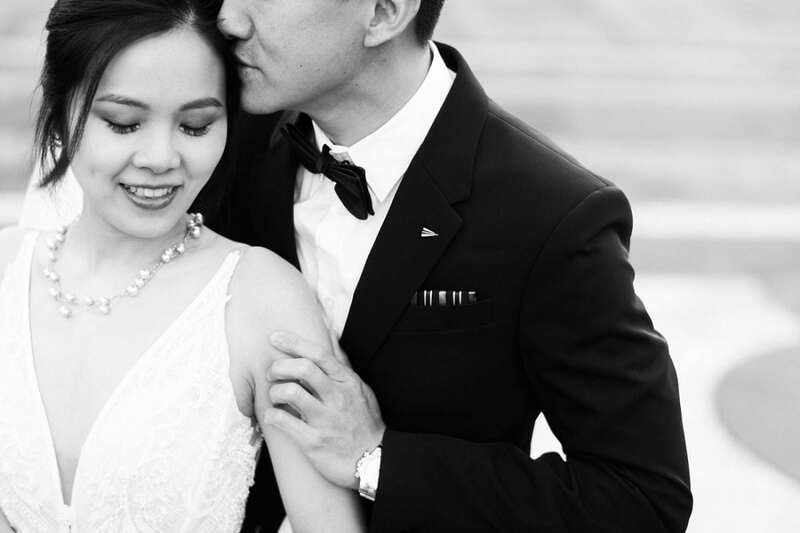 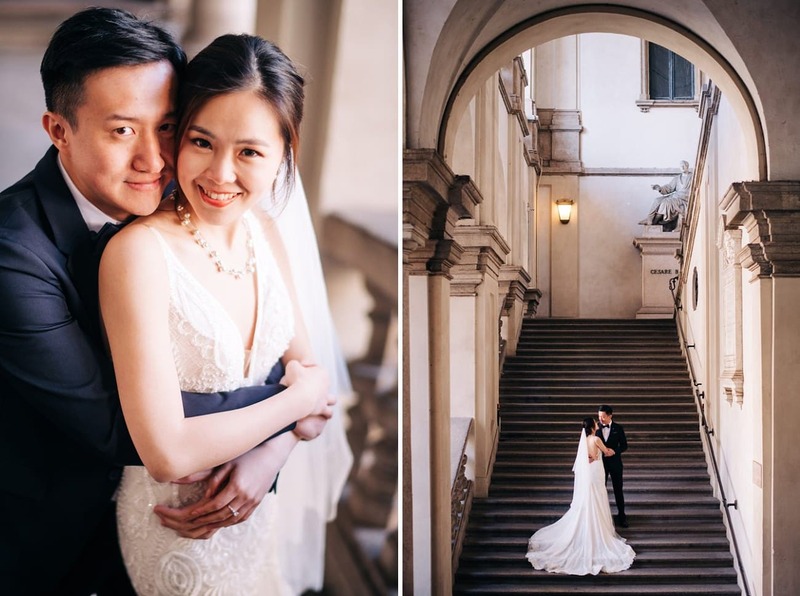 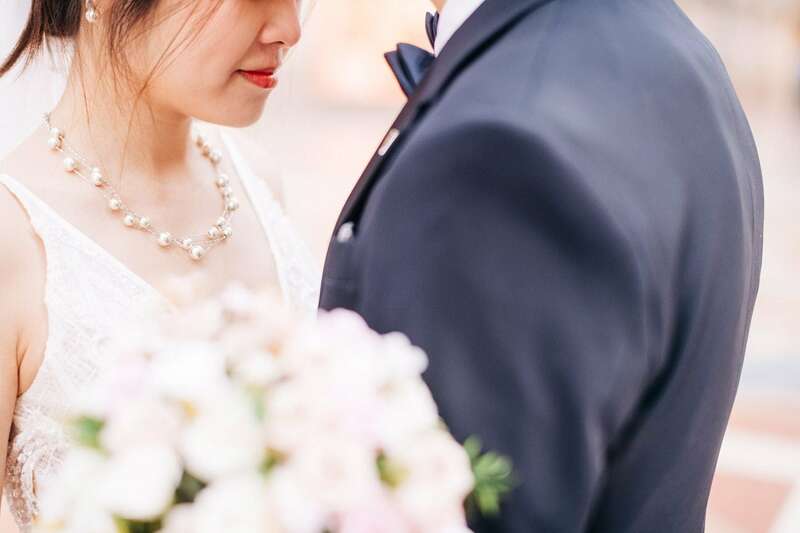 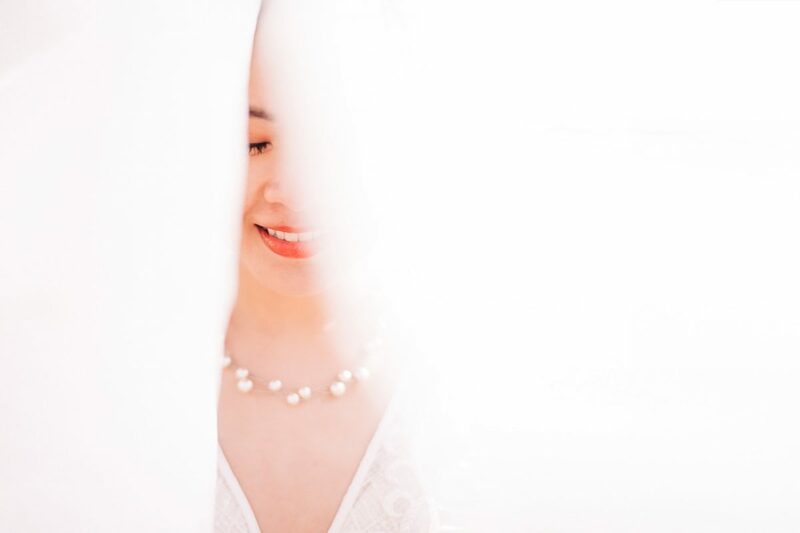 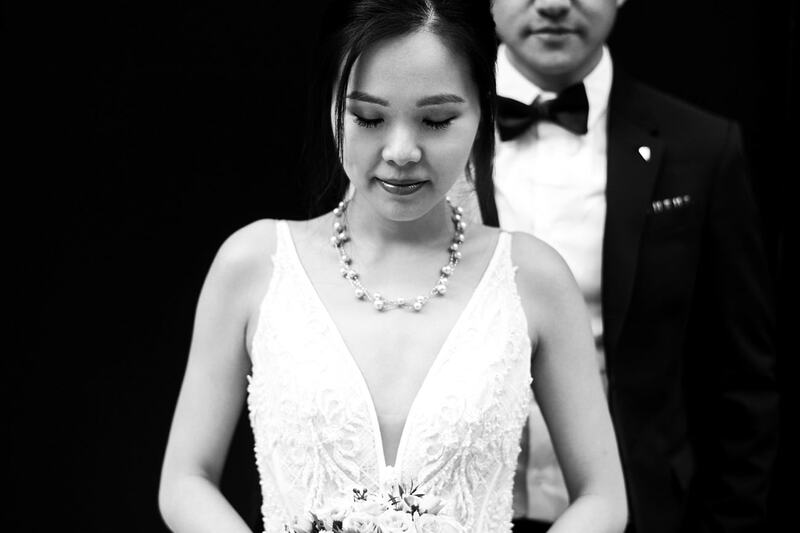 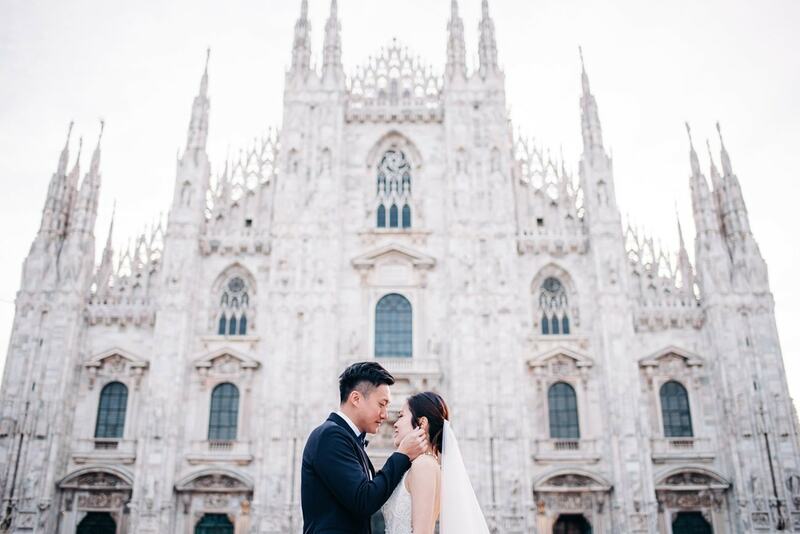 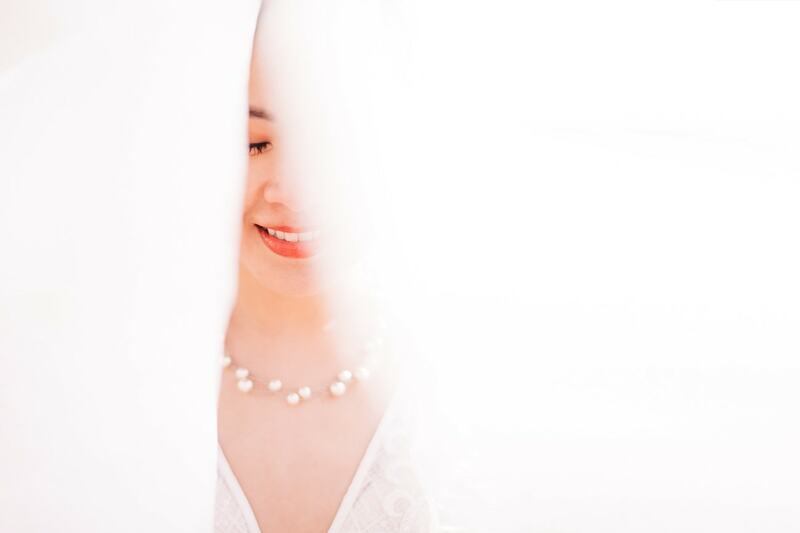 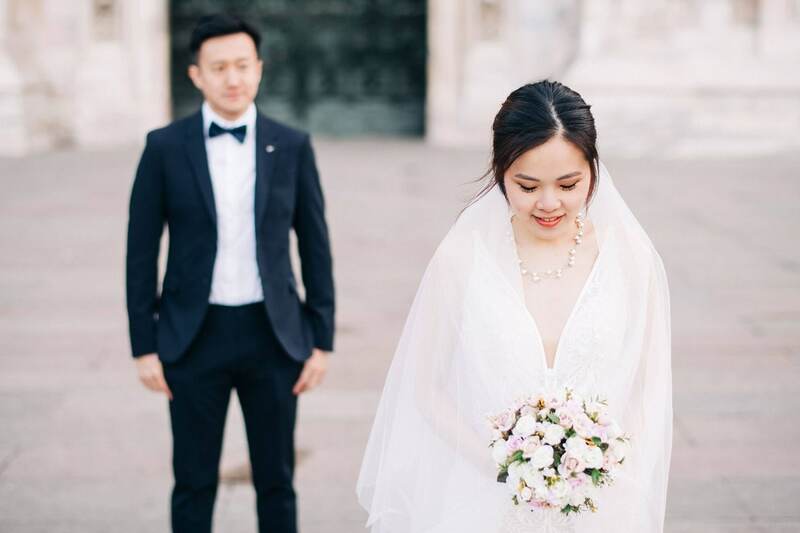 Angela and Larry are a sweet couple from Hong Kong who came to Italy for their Prewedding session – a beautiful wedding-style couple shoot in the beauty of the early morning. 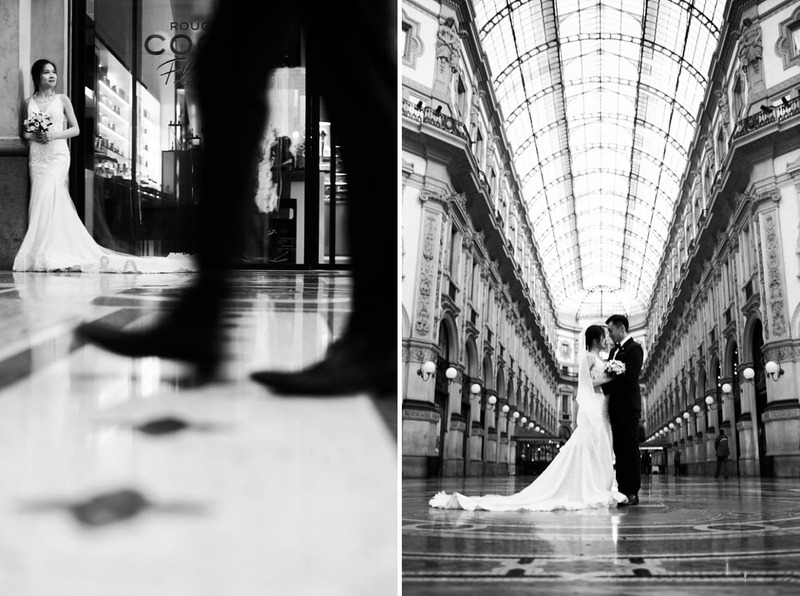 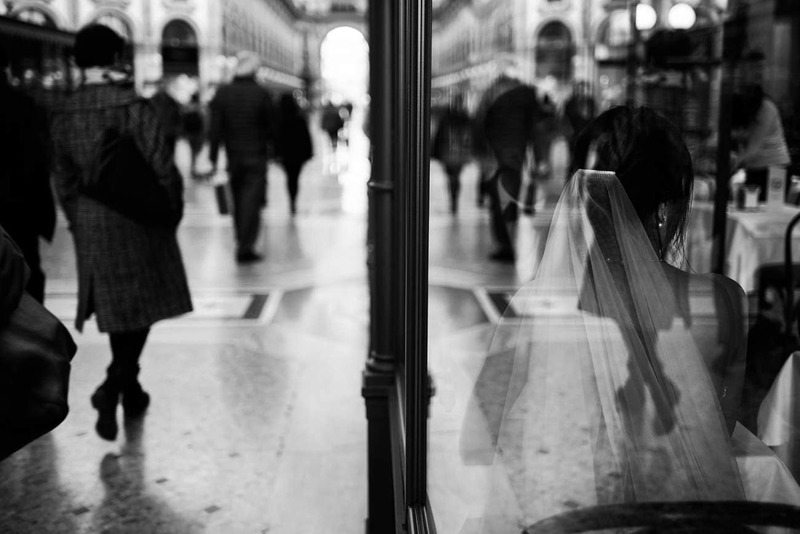 I am in love with these photos, that show a totally different side of Milan – enjoy! 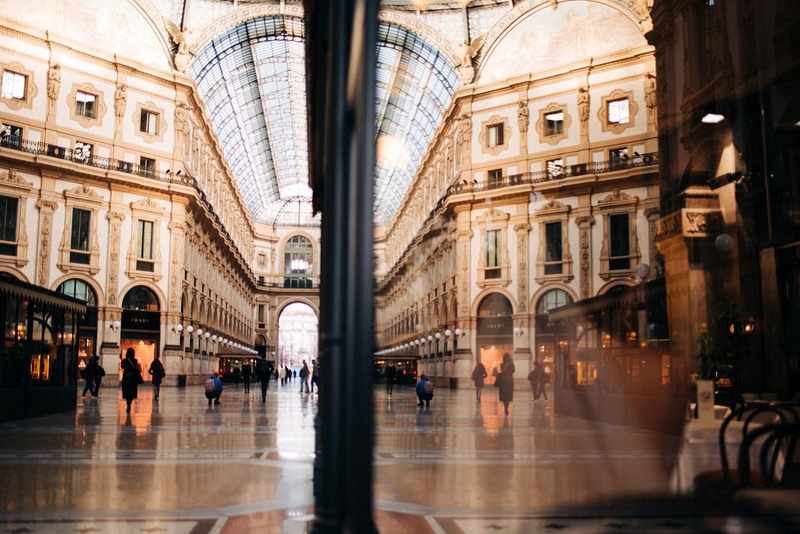 Milan is a totally different city before 8 a.m. – you need to see it! 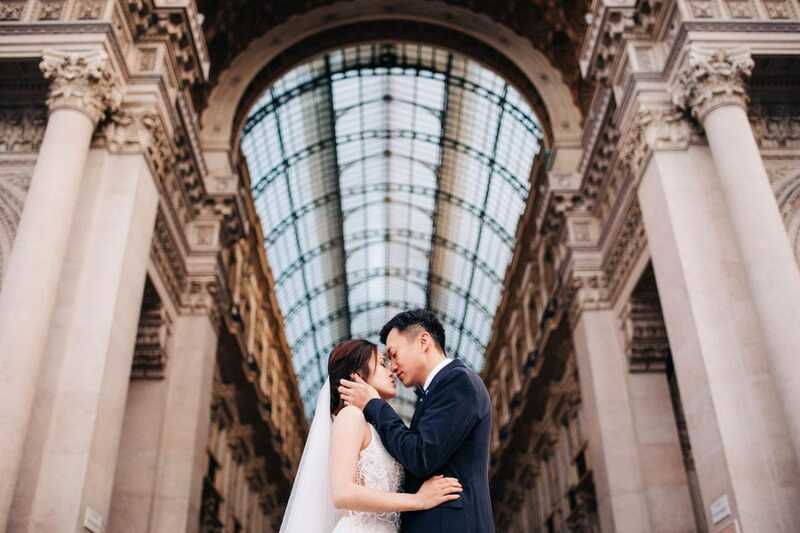 I met with Angela and Larry at 6:45 in Piazza del Duomo, Milan. The whole square was empty – inhabited only by few passengers, pigeons and the three of us! 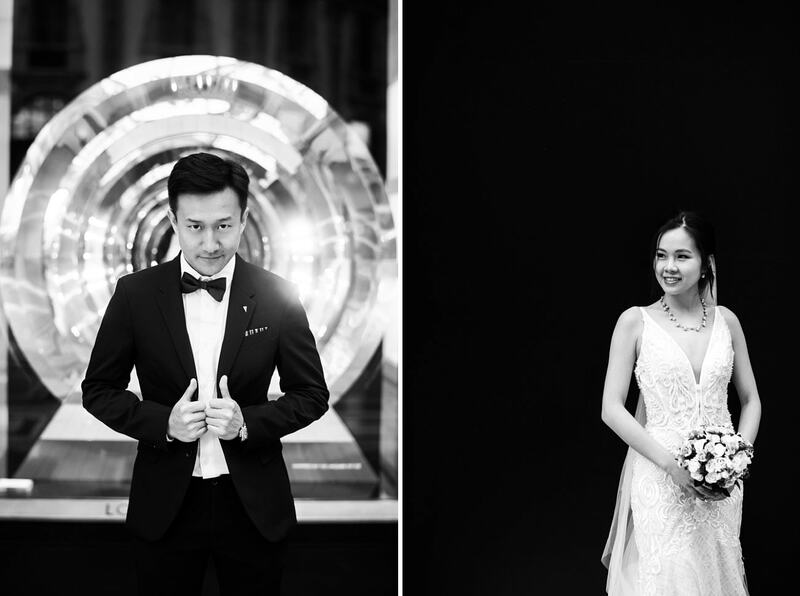 The light was something incredible – pinkish and pure, so perfect for such a couple. 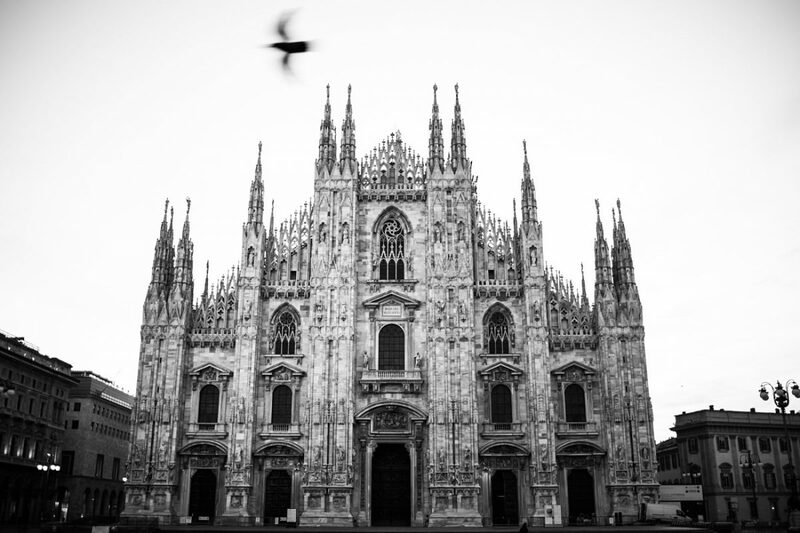 We started shooting there, in front of the Duomo – it seems like time stopped and the whole city was ours. 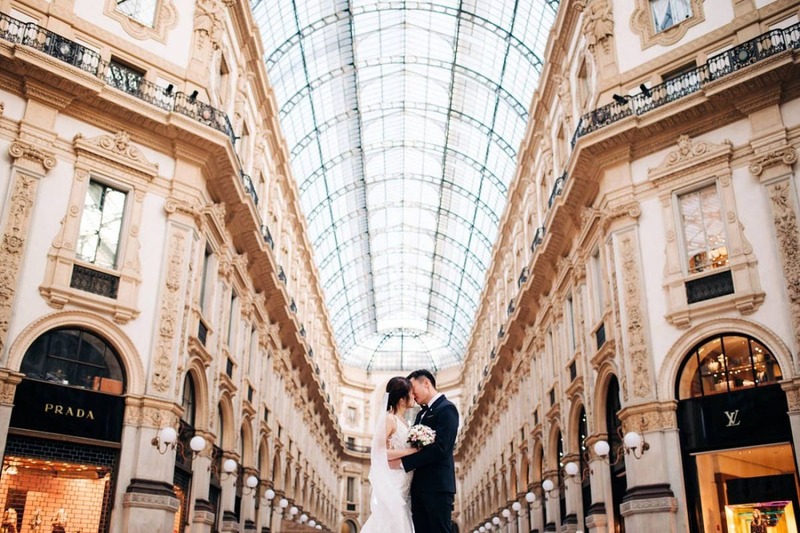 After shooting there, we walked to the near Galleria Vittorio Emanuele II, an incredible high-fashion shopping gallery built in the late Nineteenth Century. I wouldn’t lie if I said that it is probably the most beautiful shopping gallery in the world! 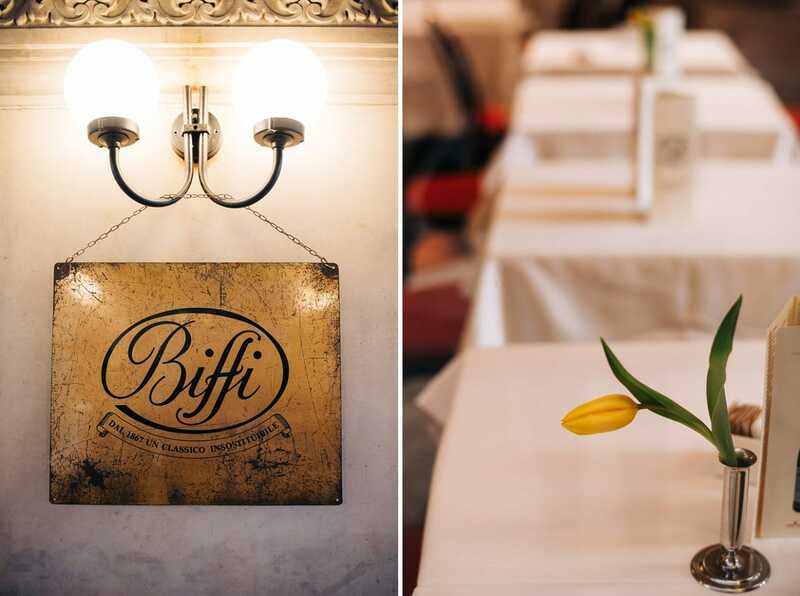 We stopped for breakfast in the beautiful Cafè Biffi, so pretty and precious in its art-nouveau style. Then we walked to Brera, stopping in front of the Teatro La Scala for some photos. 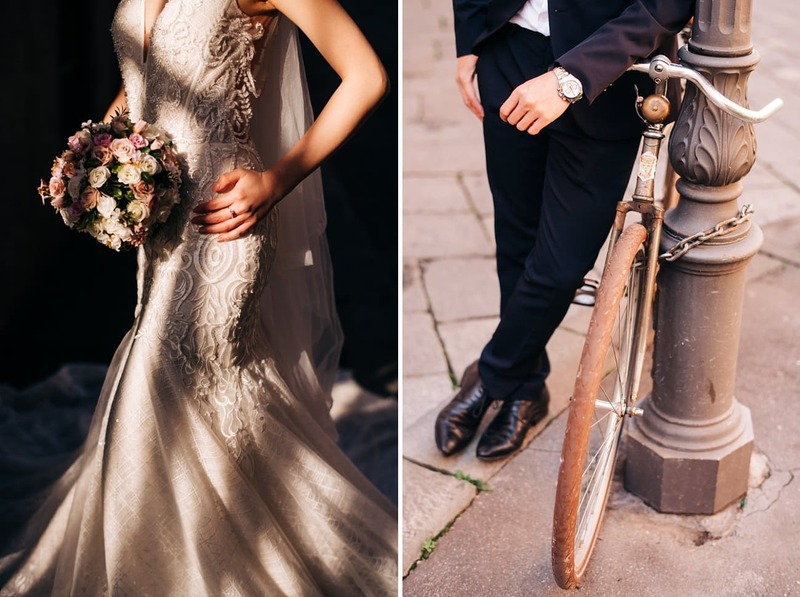 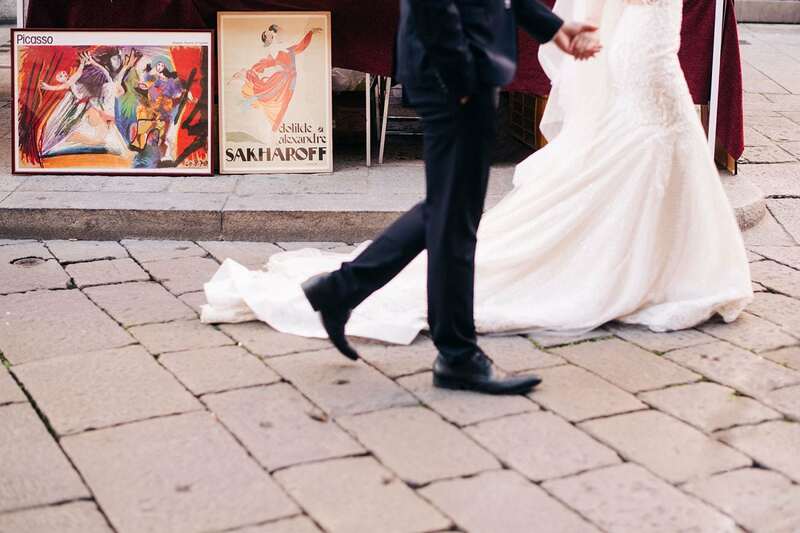 The neighborhood of Brera is absolutely perfect for a couple shoot – its boho, Paris vibes are absolutely amazing. 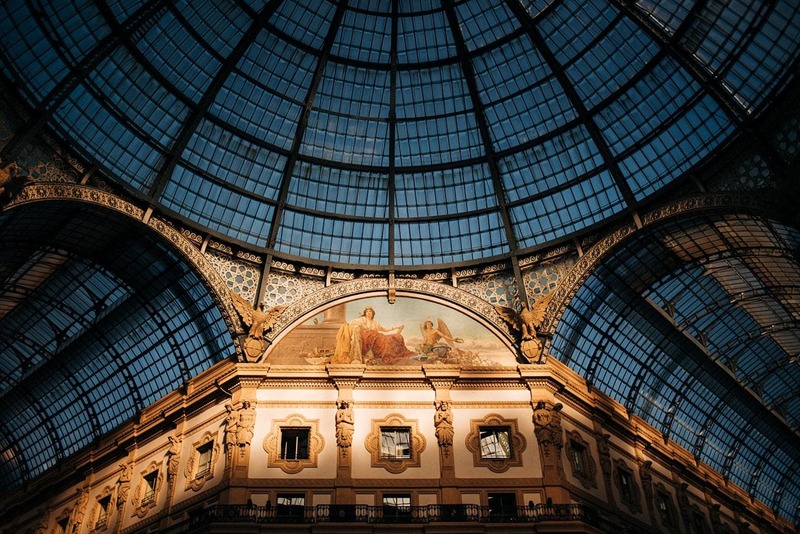 Then we went to the Pinacoteca di Brera, the amazing museums with some incredible architecture. A beautiful couple for a stunning session – I’m in love!